Looking for an awesome Halloween costume for this year, but don’t have the skills to pull off anything particularly amazing? Well if you happen to have $2400 to spare, you can be look like an alien. 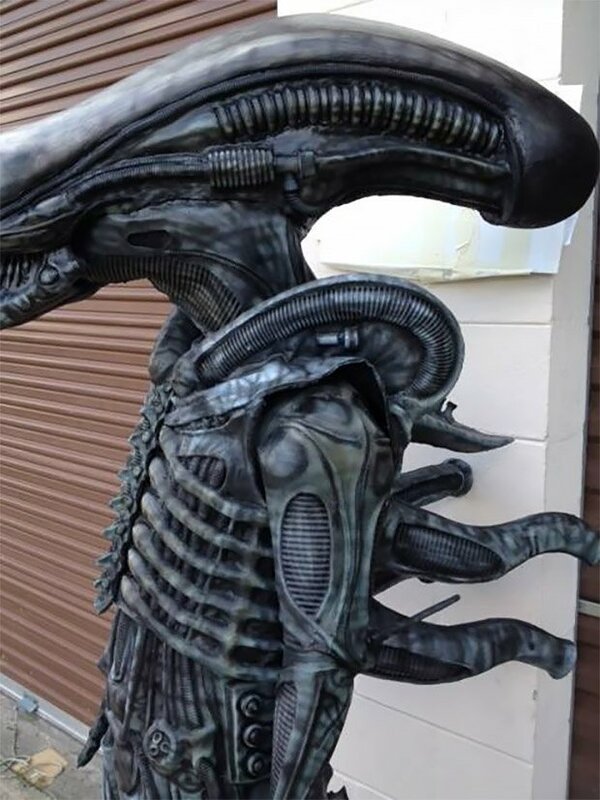 Not just any alien, but an alien from the Alien movie franchise. 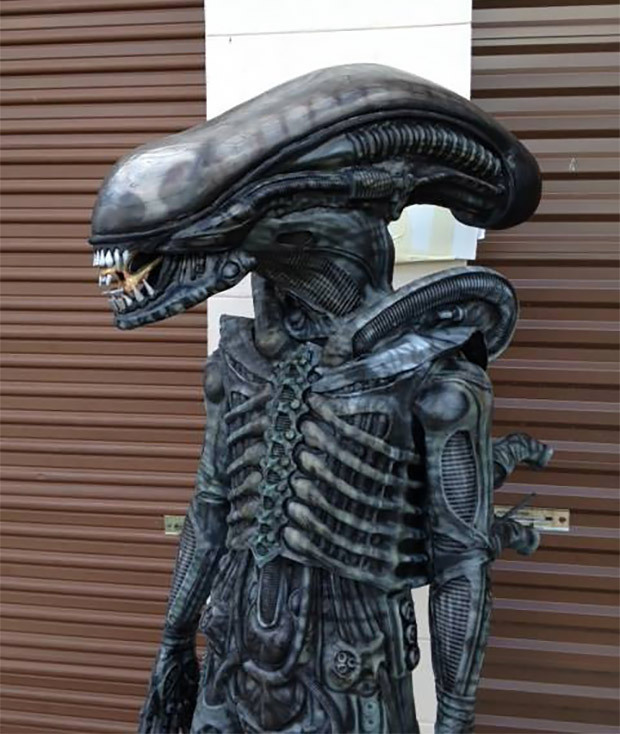 Smith Shock FX Studio is selling this awesome Alien costume. 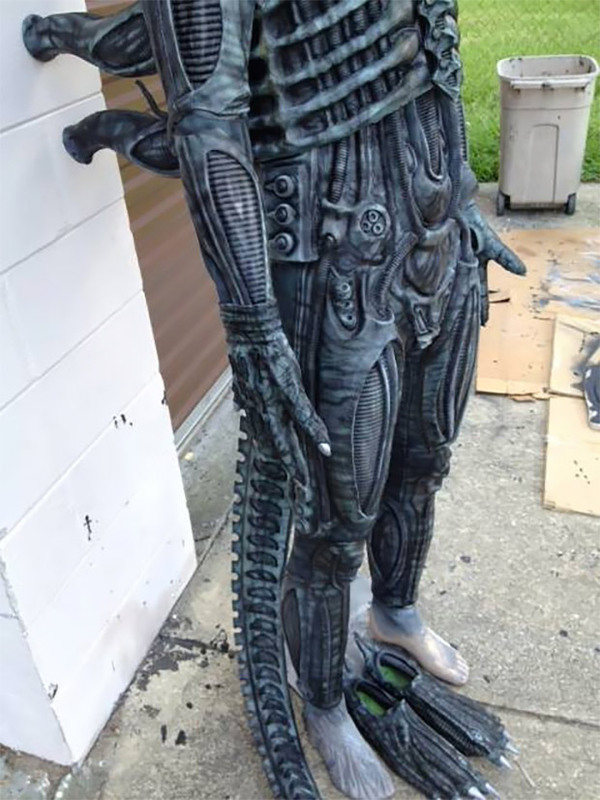 They start out with a dive suit in the buyer’s size of choice, then apply custom latex, plastic and resin pieces and then paint it to make it look so creepy and awesome. I wonder if they can make it so that inner mouth part can move. That would be so cool. If you’re up for a bit more of a challenge, they’ll also sell you a kit which includes the unpainted latex pieces and raw and untrimmed head/dome pieces, but that sounds like way too much work for me.